Find our how much you could save! If you decide LED could be an option for your property you can request a detailed Return On Investment from a project manager. Don't guess, find your money today! A switch to a LED lighting system can not only result in energy savings, but better visibility as well. 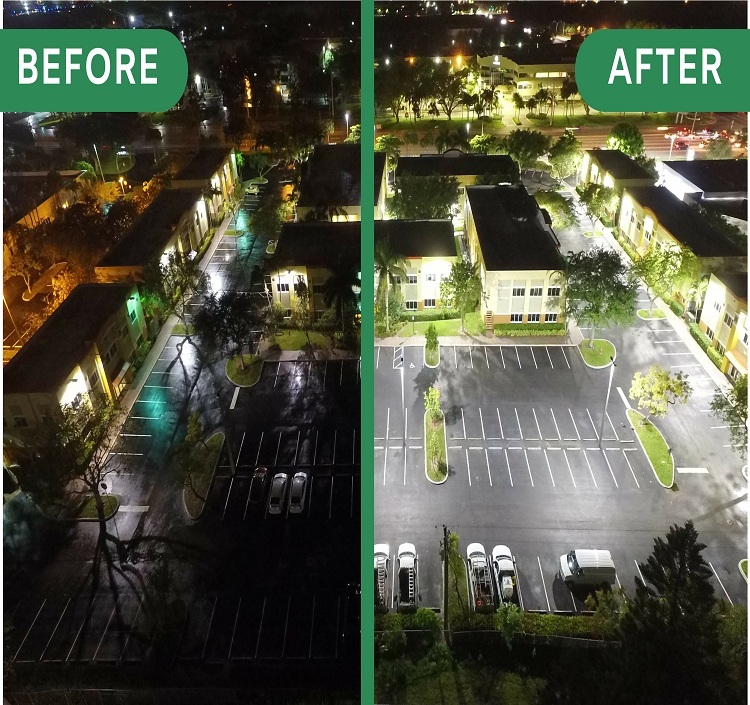 Lighting of Tomorrow was able to successfully improve this parking lot's lighting visibility in turn making the property safer, and look more beautifully illuminated at night. This project reduced this property's electricity consumption by 68% percent while adding more light fixtures. Electricity savings is not only good for the planet but your wallet as well. We offer a free initial inspection so you can see the benefits an efficient LED lighting system can have for your property. Is America Ready to Embrace the Future of Lighting? LED Lighting In Horticulture - Trend Or A Fad? LEED Certification: Does Your Project Meet the Requirements? LED Lighting Quote - What's the Process? LED Color Temperature - What's Right for my Project? We are one of the leading lighting solution providers in the West Palm Beach Area and surrounding regions in Florida. . Let us help you save significantly on your utility bills with our renewable solutions. We are the leading lighting solution providers in Fort Lauderdale and Broward County. Lighting of Tomorrow is dedicated to creating a sustainable future for you and your upcoming generations by providing energy efficient lighting solutions. 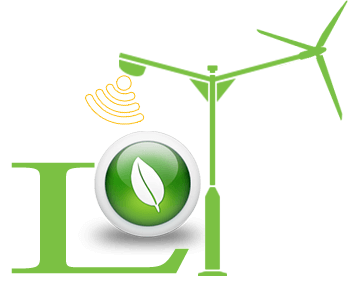 Let us help you save significantly on your utility bills with our renewable solutions. At Lighting of Tomorrow, we’re the go-to lighting product and service provider for consumers in Florida. We offer and deliver innovative, energy efficient solutions to residential and commercial clients. Lighting of Tomorrow seeks to promote and implement renewable energy solutions enabling our customers to save on electricity bills as well as helps us preserve a greener planet. I'm Glad I Found This Company! I'm glad I found this company! Customer service is fantastic, they answer all of my questions and provide the best prices. Looking for LED lighting, this is definitely the company to go to! Ask for Andersen! He is the best! LOT is an amazing Company, its service and products are just awesome! I will recommend them for sure with another businesses. awesome work, lighting of Tomorrow is the best at what they do. Highly recommend!! Servicio profesional con rapida capacidad de respuesta. 100% recomendable. This store has everything you could possibly want with regard to LED lighting. Reasonable prices, excellent customer service!!! I am using LED products past 7 months ago & I am very satisfied these led products from Lighting of Tomorrow. I will suggest everyone to buy from here also. Very professional, details oriented, fairly priced for a Grand Job.We will use the cie for phase 2 of our large project. It is such a great pleasure for me to be able to take a few moments to share my incredible experience with lighting of tomorrow. I did a tremendous amount of research before deciding upon this company to work with. I have to tell you that from the very very beginning they under promised and over delivered! I decided to change all those ugly yellow light bulbs in my home and replace them with beautiful soft white light from LED bulbs. I can tell you, it absolutely altered and changed the aesthetics of my complete home in a very profound way. But the best part of the experience was dealing with Anderson and Steve and especially Jamal. I mean it’s one thing when you allow people into your home, in fact I have a sign outside of my door that says, “please take responsibility for the energy you bring into the space.” And what I mean by that, is my home is my sanctuary so I’m very particular about which companies are allowed to come in. To do work. But from the beginning they arrived impeccable. They put a protective coverings on their shoes, they were very conscientious of my beautiful dog Asher who fell in love with them by the way! They took so much time to go through and explain everything to me. To give me so many different options. And how many times does a job end up being less money and not more money at the end! They actually quoted me more than the job actually cost in the end. And they came in several times to do a few follow-ups and didn’t even charge me. I have to say that blew me away. But the reasoning behind it is very understandable, Anderson is committed to making sure that the customer is completely satisfied and happy. Furthermore, they realize that the greatest asset they have is to provide exceptional customer service and to wow you beyond expectation! Anderson, Steve, and Jamall, are so friendly and professional. We quickly gained great connection with each other. In fact I can honestly say they feel like friends. They were so professional and courteous. And my home oh my gosh! Rather than tell you on this testimonial review, I’ll just include some pictures, their products transformed my home into a beautiful showcase! They came in and installed dimmer switches, worked with me to perfect the exact lighting specifications. And were constantly on time to the minute each time we made an appointment. I am so happy with them please if you need any type of lighting for your home or business or office don’t take a chance with some remedial company, go with the best and go with lighting of tomorrow! Always a pleasure working with this company.